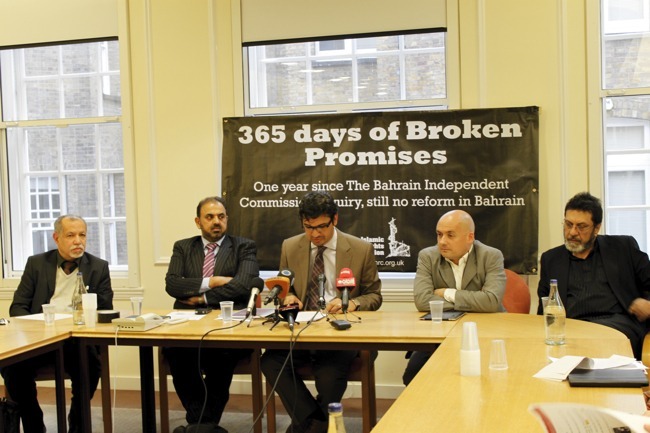 A Press Conference held at Westminster, London exploring Bahrain and the lack of implementation of the BICI (Bahrain Independent Commission Inquiry) report over the past year. The panel members included Lord Ahmed (House of Lords member), Ali Al Aswad (ex-Al Wefaq MP), Dr. Saeed Shehabi (spokesman for the Bahrain Freedom Movement), Clive Baldwin (legal advisor for human rights watch) and Massoud Shadjareh (Chair of Islamic Human Rights Commission). The event was chaired by Lord Ahmed followed by statements given by each member of the panel. The Bahrain press conference was also attended by those who have personally had their nationalities revoked, making them essentially ‘stateless’, as Clive Baldwin said. The panel members discussed a variety of topics, from Bahraini citizenship being revoked to the prosecution of ‘tweeters’ such as Nabeel Rajab from the Bahrain Human Rights Centre. Clive Baldwin (HRW) raised the point that the UK and USA fail to treat Bahrain equally when discussing its political situation, describing its human rights abuses in a somewhat dismissive manner compared to other Middle East countries such as Iraq and Syria. The conclusion put forward by Dr Saeed Shehabi was that Bahrain’s ruling family, a tyrannical establishment will not reform and adhere to the BICI report unless the Bahraini population has a democratic say in their destiny. 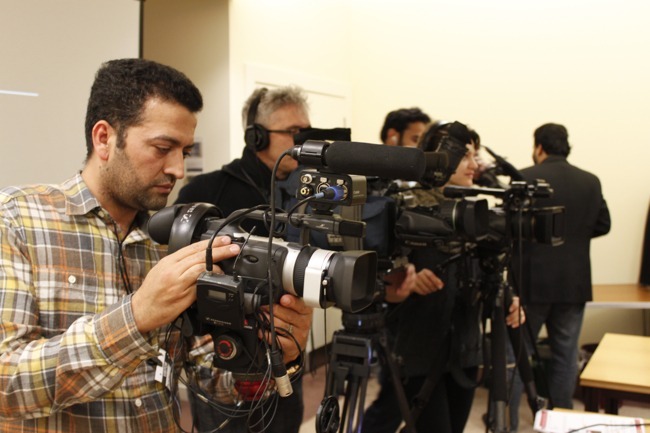 The Press was keen to ask Dr Saeed Shehabi who he held accountable for the lack of international pressure on Bahrain to which he replied “I will speak out and say mostly Britain”. Dr. Saeed Shehabi explored the notion that the UK and USA must put international pressure on Bahrain for change to occur, as a regime cannot and will not change from within or else it would lead to its own demise. There was a shared consensus amongst the panel members that for the Bahraini people to reclaim their freedom and rights, international pressure is crucial to address the human rights abuses. All panel members highlighted Britain’s stance when it came to Bahrain and how rather than criticize the Bahraini regime, they had given them ‘red carpet treatment’, according to Chair of IHRC, Massoud Shadjareh. The overwhelming sentiment was that Britain needs to play a more critical role when it comes to Bahrain and not align themselves so closely with the regime. 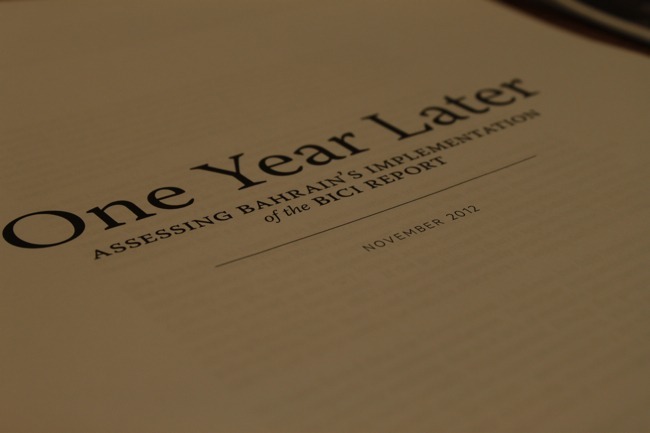 In the coming months all parties will be stepping up their pressure on Western governments to speak out against the Bahraini regime and their failure to implement the recommendations of the BICI report. 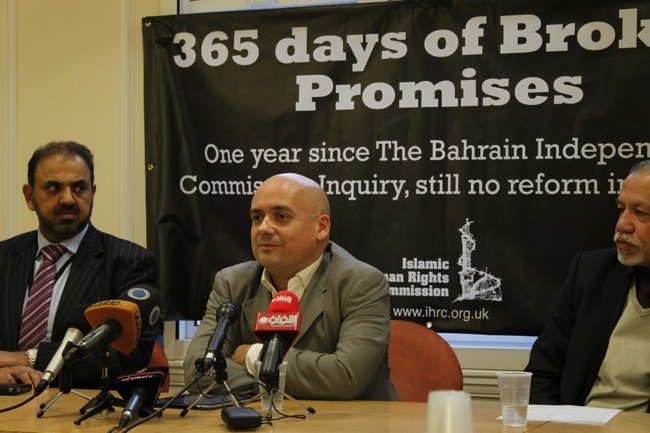 Details of IHRC’s report by Omar F. Ahmed, Broken Promises, on the history of the struggle in Bahrain can be found here.